Who gets the dog in a divorce in Illinois? 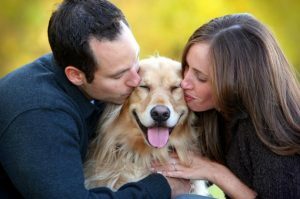 Although most divorce cases revolve around the children and who will get custody, in some divorces the couple’s dog takes precedence. Traditional approach – Traditionally a pet is treated as any piece of property. If the breed is of significant value, the parties will have to reach an agreement outside the courtroom. Usually, this will involve one party requesting a visitation schedule. In some cases, if the couple have children, the pet lives in the home with the children due to the children’s attachment to the pet. A couple can also agree on financial arrangements for the pet including future veterinary and boarding expenses. Separate property – In some cases, if the spouse has adopted the pet before marriage then the pet would be considered separate property and would go to the spouse who owned the pet. Therefore, in this case, the pet will not be considered marital property. Paradigm shift – However, as more and more couples choose not to have children; pets have become an essential part of a couple’s life together. As pets become more like family members, courts now consider the wellbeing of the pet before considering receives sole custody of the pet. A new law effective from January 1, 2018, allows judges more discretion when deciding divorce cases involving the family pet. Judges can now consider the wellbeing of the pet and determine if full or joint custody is awarded to which spouse.